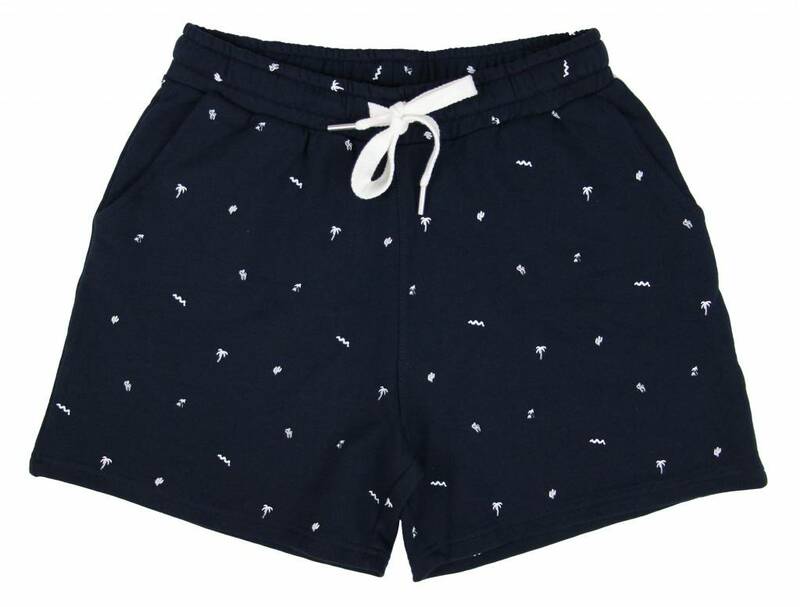 Short trousers by Avenue Tropicale in a comfy sweat fabric. 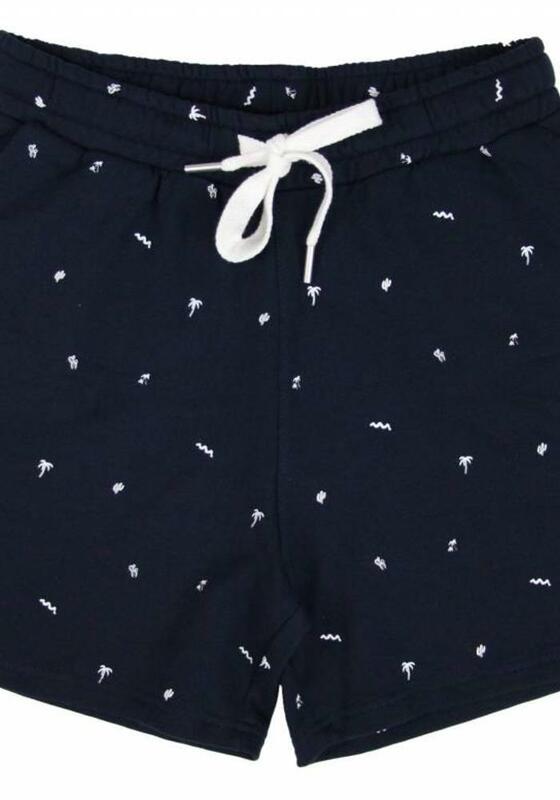 The color is dark blue with a white print of palm trees, cacti and waves. 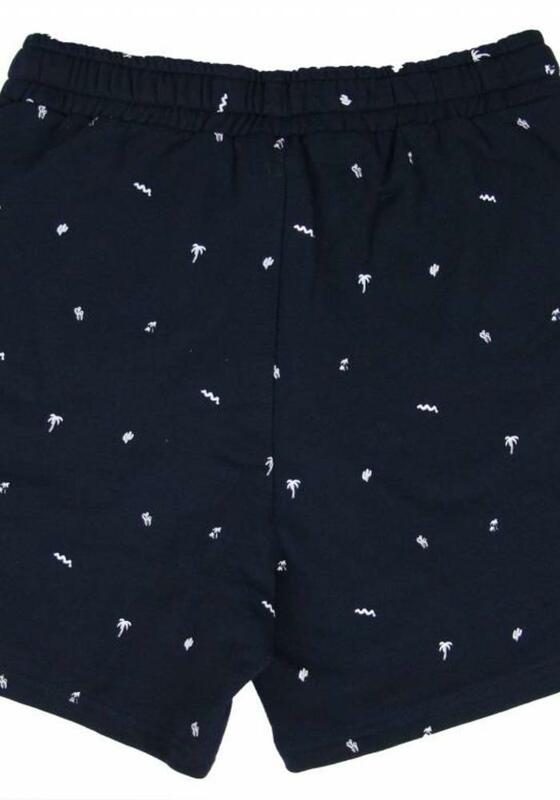 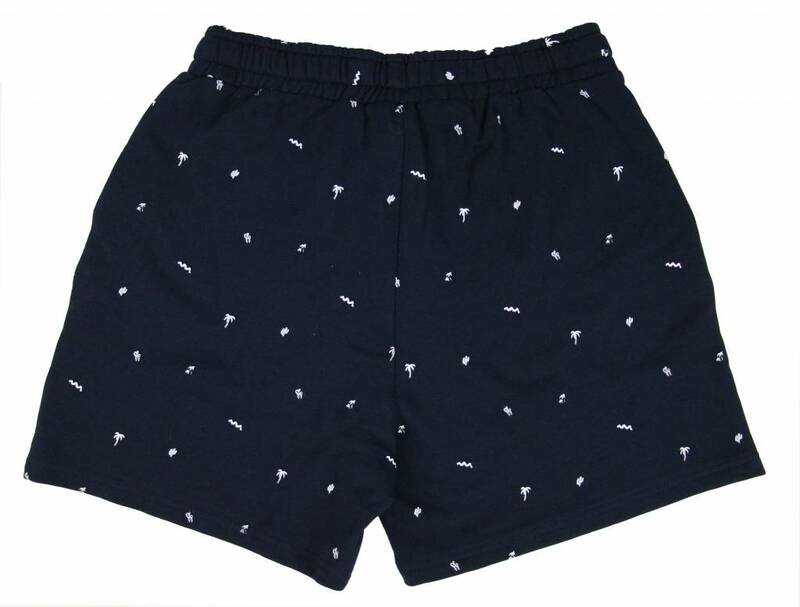 The short is slightly above the knee and has two pockets on the side.